Large castellated gothic mansion with towers, turrets and crenellated parapets, 2/3 storeys over basement, now (1989) a hospital. Several building phases, beginning with a north-facing Georgian villa (built late 18th/early 19th century) originally free-standing, now part of rear wing; additions in at least 2 phases, viz 1858 and 1890, the last by James Thomson of Glasgow. August 2011: Latterly operated as a hospital site. 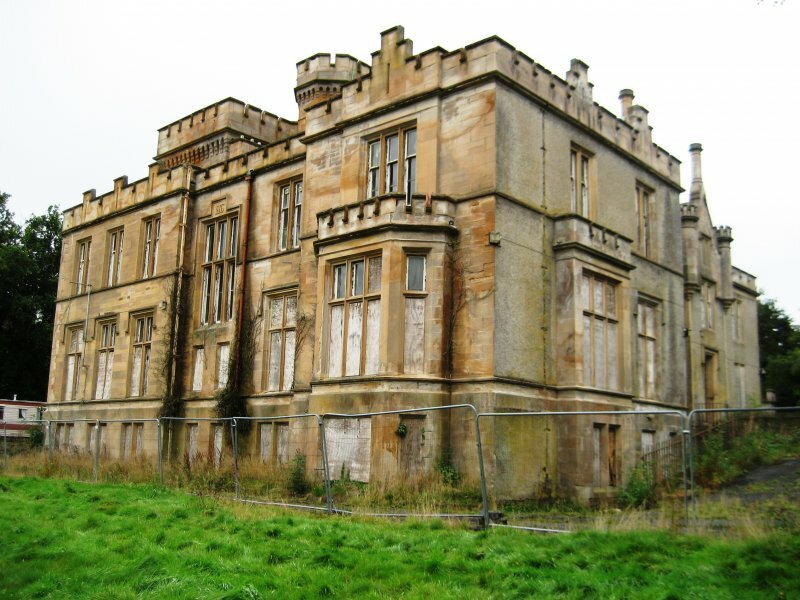 Developers granted conditional planning permission for restoration and conversion of the site to hotel usage in May 2009. The developer, Eatonfield Developments is reported (Hamilton Advertiser news report July 7) to be owned by Eatonfield Group PLC, which is understood to have entered voluntary liquidation. An empty building adjacent to the main house is reported to have been demolished following a major fire, thought to have been set deliberately. For Investigation. 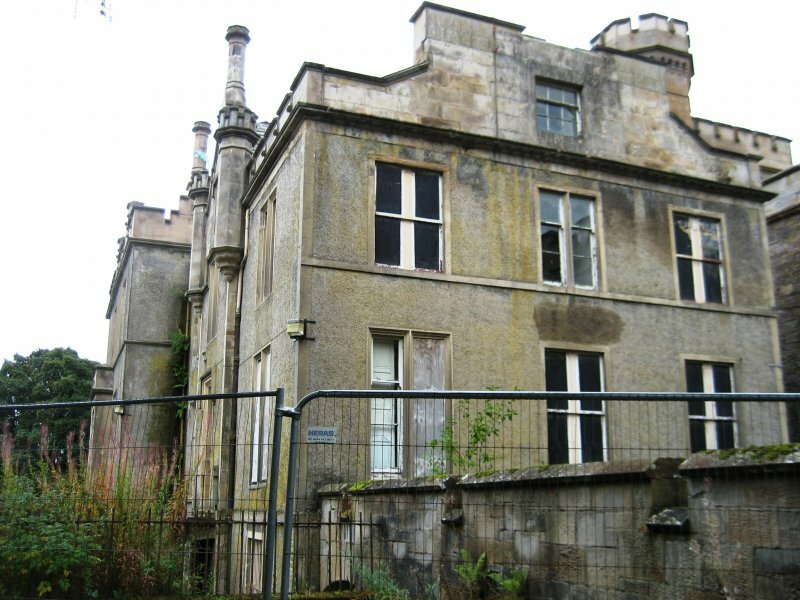 27 September 2013: External inspection finds all buildings within the former hospital site are disused and derelict. There is widespread dampness evident to the mansion house walls. Downpipes have failed in places, with vegetation growth encroaching. Ground floor windows are mostly boarded over, some internally. Some security fencing has been erected. 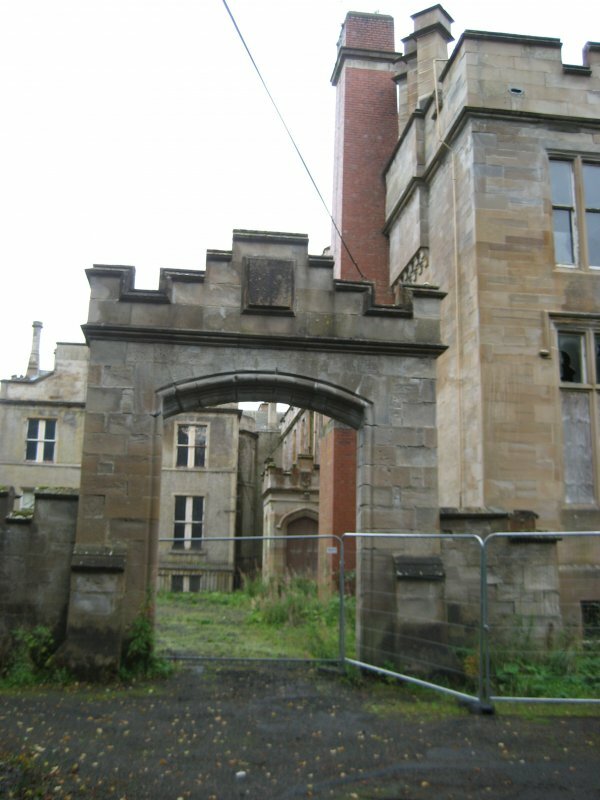 South Lanarkshire Council's proposed Development Plan, May 2013, noted the former hospital site as one of the area's development priorites. Moved to At Risk. 5 November 2013: BARR is contacted by a member of the public concerned at the deterioration at the site. 23 July 2015: A member of the public advises a partial collapse has occurred at the former hospital. Condition moved to Very Poor. 26 May 2016: Listed Building Consent for stabilisation works is being sought ref: CL/16/0122. 27 March 2018: A member of the public notes scaffolding was erected around the property. The developer Birkwood Estate Limited is advised as having been placed into administration. 14 May 2018: Listed Building Consent for partial demolition of the building is being sought ref: P/18/0573. 5 December 2018: The former hospital site is under marketing for sale, as a development opportunity, through appointed agent DM Hall, 220 St. Vincent Street Glasgow G2 5SG. See "online resources" (below) for weblink to sales information. Partial demolition of Birkwood House have taken place with the remaining structure supported by scaffolding. 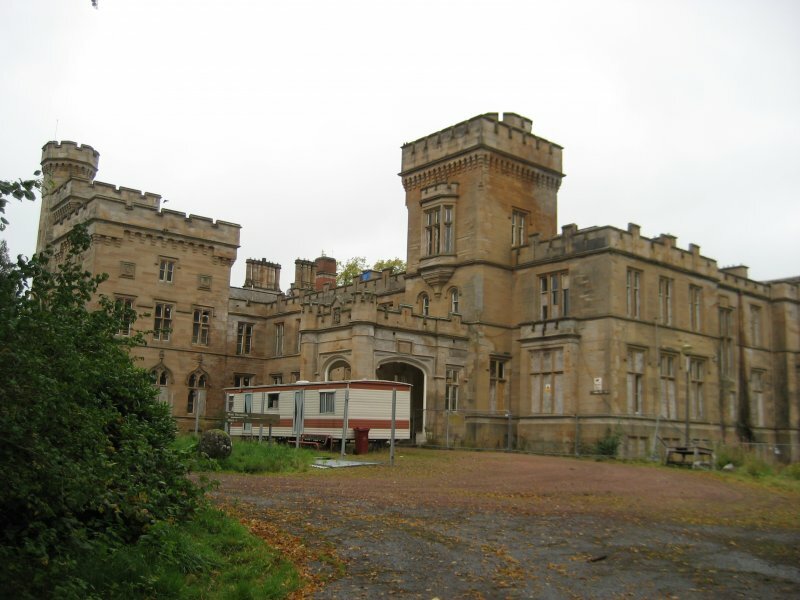 Any interested parties who wish to discuss the planning status of the site can contact Ailsa Shearer at South Lanarkshire Council (01698 455273) for further information.